Her name is Cricket. The lady who sold her to us said she was a boxer mix. But she looks more pit to me. She very energetic, loves EVERYONE, has the cutest wrinkles, and has. Bad habit of licking everyone. She has all her shots and has been dewormed, and is not spayed. She's 10 months old. What do you think? Her when we first got her. 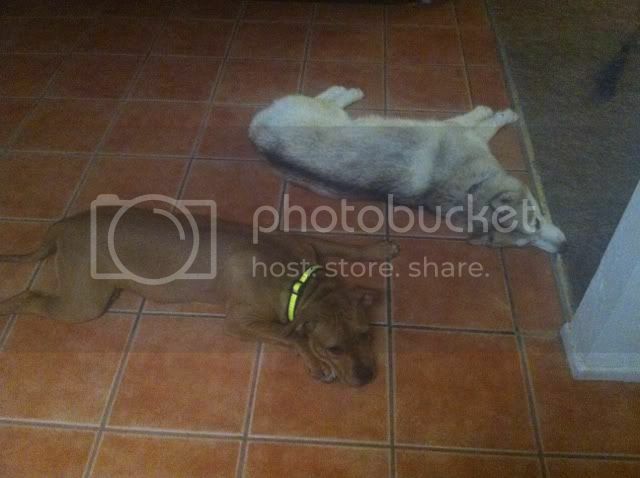 Her with our Alaskan husky. Regardless of what she is, she's adorable. 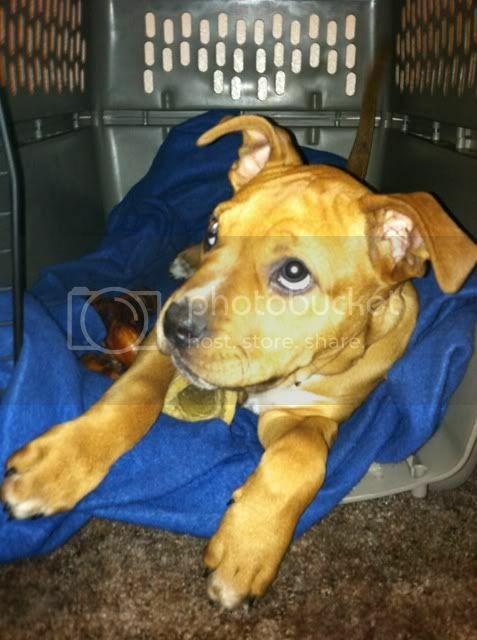 Welcome Jessica, glad to have you join us :-) Cricket is adorable...and I can see both boxer and pittie in her. Your husky is lovely too, great to see they get along so well! Jessica, welcome to the forum! 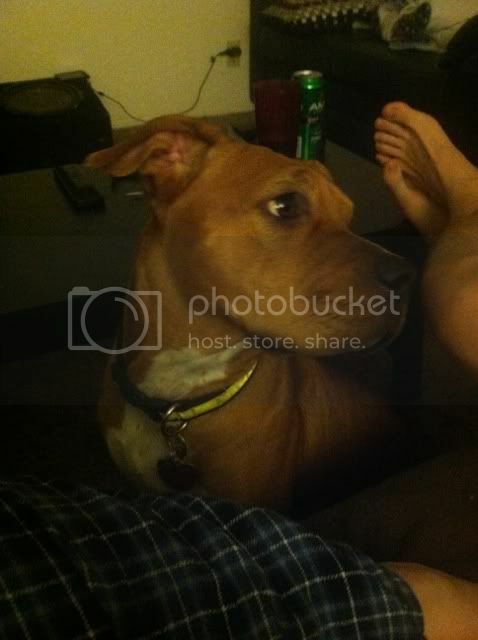 I sure do see boxer in her. She is very cute. We do love pictures, so please post away! Welcome Jessica! I see no pittie, just one cute adorable pup!